What&#8217;s the value of that land? What’s the value of that land? Redevelopment of the New Delhi railway station; 1,000km Ganga expressway in Uttar Pradesh (UP); development of airports at Gulbarga and Shimoga in Karnataka; development of city-side facilities at Udaipur and Amritsar airports...these are all examples of recently announced projects where the cost of infrastructure asset development is part-funded by the award of land rights. Many more such projects, especially in roads and airports, are on the drawing boards of infrastructure companies, all waiting to be implemented on an “unsolicited proposal basis", which means proposals directly submitted by private companies to governments. Public-private partnerships have become the mantra for governments (Centre or states) for developing infrastructure. Most of them are now structuring road and airport projects by awarding large parcels of land at less than market rates to partly compensate the cost of infrastructure development. “Land infrastructure" bundled projects can be of two types. Type 1 is in more developed parts of the country. Examples: the Outer Ring Road of a metro or airports in tier I cities. Here, the land awarded to the concessionaire is “technically" ready for immediate development. “Ready" means real estate development, comprising residential, shopping, hotel and hospital projects, can be absorbed by the market, since the area has enough economic activity to support all that. Type 2 is located in lesser developed parts of the country. Examples could be the Ganga expressway (a 1,000km stretch connecting the western and the eastern borders of UP) or an airport at Gulbarga in Karnataka. Here, too, the concessionaire gets the rights to develop large parcels of land to compensate the cost of developing the infrastructure asset. However, in most cases, the land cannot be developed immediately. 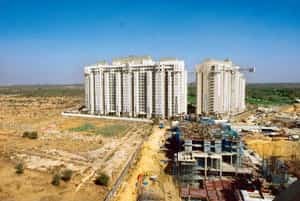 Imagine building a residential complex of 1,000 apartments in Gulbarga—there wouldn’t be enough buyers! In such projects, economic activity has to first be triggered in the region. The infrastructure asset is an enabler for economic activity; by itself it can’t trigger growth. Some industrial or commercial activity would be needed to create value for the land. Type 1 projects can generally be viable with negative grants due to the immediate development opportunities on the land provided. However, today with real estate over supply in most urban centres, these projects also need to be evaluated carefully. —Agriculture: Creating large mandis and agri-logistics infrastructure. —Industry: Setting up factories or other industrial activity. Tata’s Nano project in Sanand, Gujarat, is an example of industry triggering sufficient economic activity in the town. —Tourism: If the region has tourist attractions, it would need good hotels and other facilities. Lavasa, India’s first privately developed hill station, is based on tourism as its main hook. —Education: Creating large education hubs. Manipal is an example of a town that has developed primarily due to its education facilities. —Other commercial activity: Creating warehousing/trading hubs, etc. Nagpur is being viewed as a cargo hub, and much of the future real estate development would be based on the demand generated from the warehousing and trading industry. Each of these examples is a mega-project on its own, and cannot be placed in the category of “super-attractive" projects delivering super-normal returns. Moreover, an infrastructure company is unlikely to have the capability or inclination to undertake such development projects. If this is the case, and if the government does not make any commitment on triggering economic activity, how can the land rights possibly compensate for the cost of infrastructure development? Small towns can take decades before they generate enough economic activity to absorb a 1,000-acre development. The longest concession periods are not more than 60 years; most are shorter. Therefore, the government cannot abdicate its responsibility of creating economic activity in the region. The private sector concessionaire needs to recognize that it can only build the infrastructure asset, but would be unable to realize any substantial value from the land awarded to it. And most importantly, stock market analysts need to recognize that every infrastructure project award does not always mean a windfall for the company!